Capoeira is an amalgamation of fighting style, dance, rhythm of body and spirit. Capoeira is a martial art. Capoeira is one of the most fascinating components of Brazilian culture. The philosophy of the capoeirista (one who practices capoeira) during the roda consists of balancing the moments of defense and attack according to the ever-changing timing of the jogo (the game of capoeira). Capoeira is an art in and of itself. It should not be confused with any other form of dance or martial art. Capoeira has evolved within a particular historical and social context, in conjunction with varied cultural influences within the vast country of Brazil. The Indigenous population, the Afro-Brazilian and the Brazilians of European descent have all made capoeira what it is today. Capoeira was created by the Brazilian people but adapted for the entire world. Capoeira is considered by many as a fight disguised as a dance and by others as a dance hidden within the fight. In conclusion, capoeira is a game. Graduado fax and graduada sininho have both started learning the art of capoeira at the Equipe Capoeira Brasileira Academy in Montreal with Mestre Peninha 12 and 10 years ago respectively. 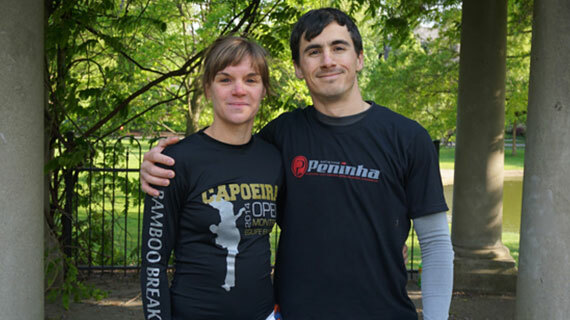 Originally from Montreal Canada, fax and sininho have relocated to Columbus, Ohio and have started teaching capoeira classes in the historic neighborhood of German Village with the support and guidance of Mestre Peninha. 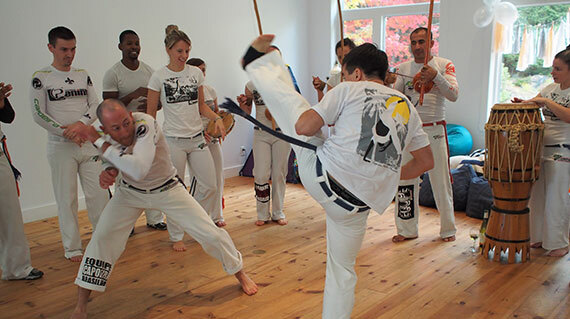 Sininho and fax are also both actively pursuing their learning of the art of capoeira, the techniques, the music and rich Brazilian culture that accompanies it. 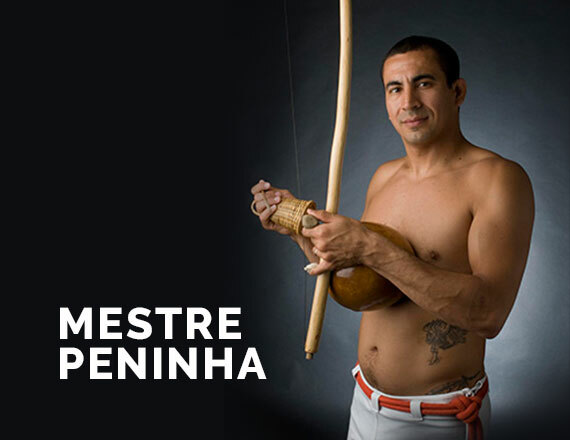 Visit Equipe Capoeira Brasileira Montreal to learn more about Mestre Peninha and our group.